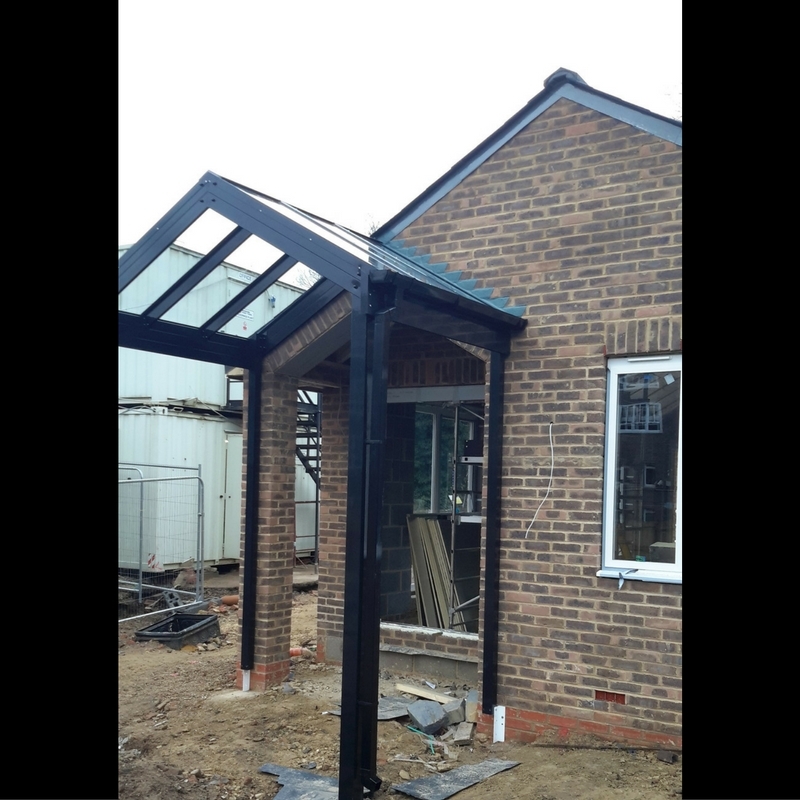 Aliport Commercial were first contacted in October 2014 about this project. 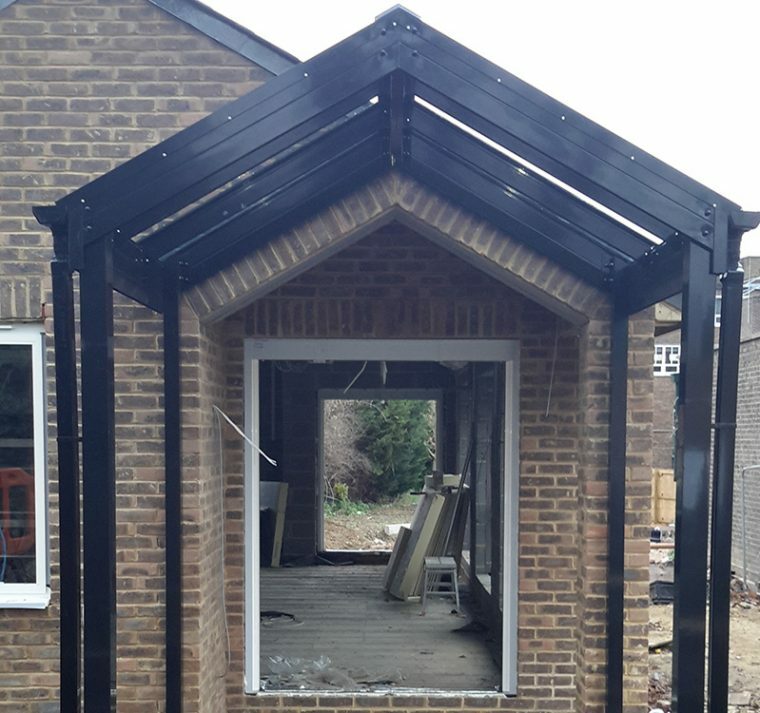 Christ the King College were looking for two identical Apex Entrance Canopies on two separate entrances which they requested be Powder-Coated Black providing the RAL number and also glazed with glass rather than standard polycarbonate roof sheets. 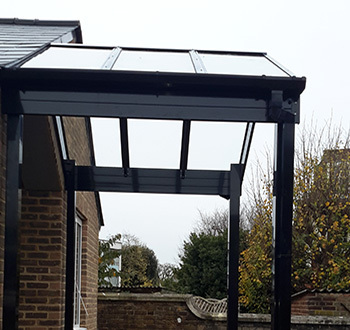 Aliport Commercial undertook a single site visit to fully understand the project, measure up and produce the designs for the new canopies to be installed. 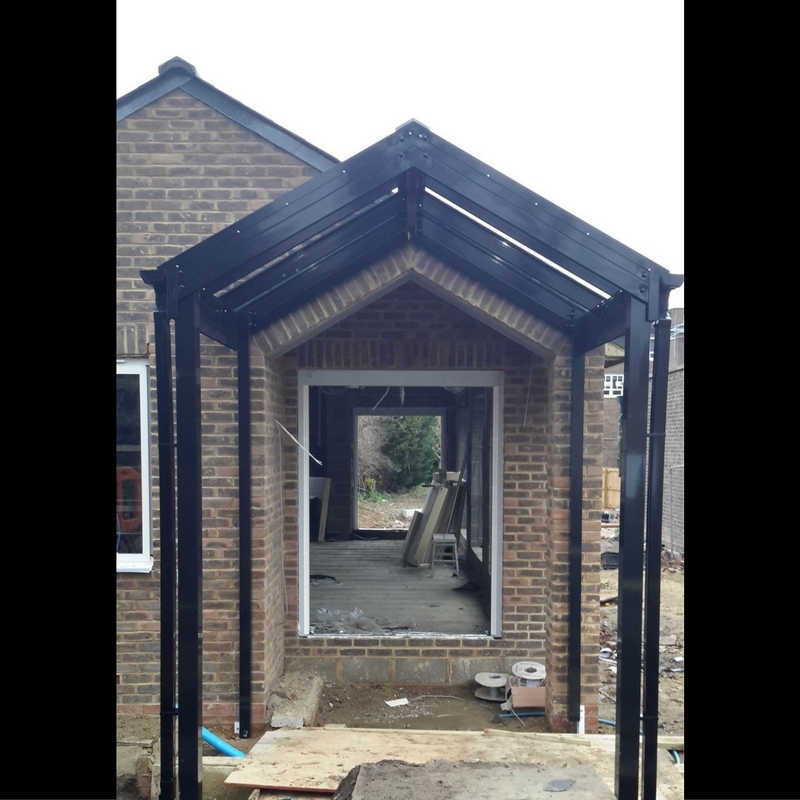 At the time of the canopy installation the site was going through an extensive refurbishment both inside and outside so considerations had to be given to Health and Safety of our team on site and liaising with other contractors on site. 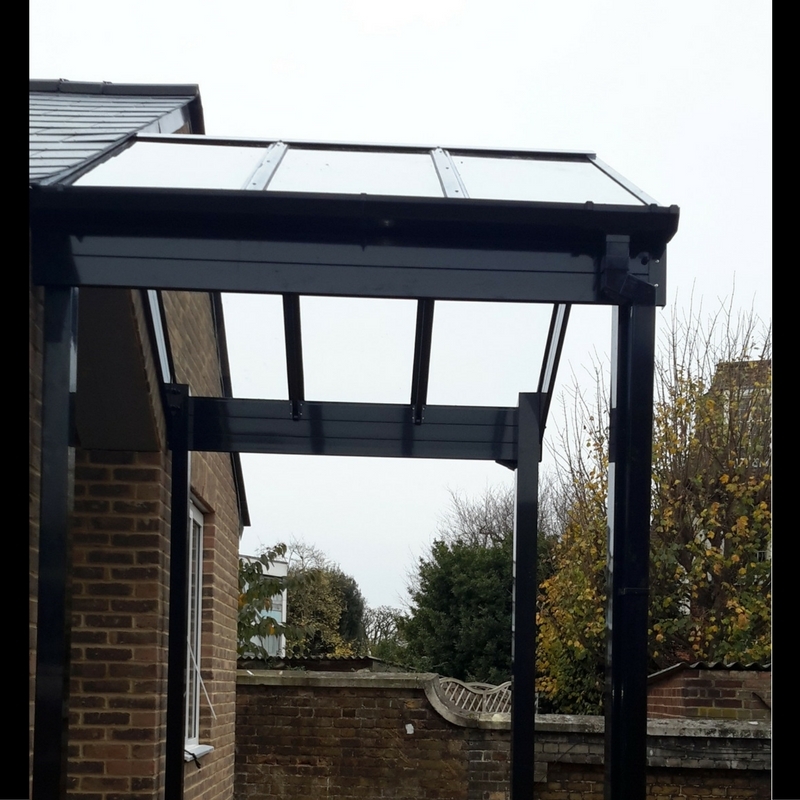 Apex Canopies are used to create sheltered Entrance areas fitting the existing profile of a building or used to create walkways. . .